We’d love your help. Let us know what’s wrong with this preview of One way by Mark Iliff. One way: A final journey to another world ... could you? At last, travel to Mars is here. Private enterprise has raised the funds and mastered the technology. But what about the people? What sort of person can keep their cool for 8 months and half a billion miles in a small capsule alongside three strangers? And does that person also have what it takes to create a thriving society from scratch … hundreds of millions of kilometre At last, travel to Mars is here. Private enterprise has raised the funds and mastered the technology. But what about the people? What sort of person can keep their cool for 8 months and half a billion miles in a small capsule alongside three strangers? And does that person also have what it takes to create a thriving society from scratch … hundreds of millions of kilometres from family, friends and even the nearest doctor? To ask other readers questions about One way, please sign up. In the interests of full disclosure the author of this book is my dad and I was involved in reading the draft versions. That said, I only posted this review after reading the completed final version as is currently available. I endeavour to be honest in this review but I can't guarantee my filial pride won't colour it. In simple terms I thoroughly enjoyed this book. 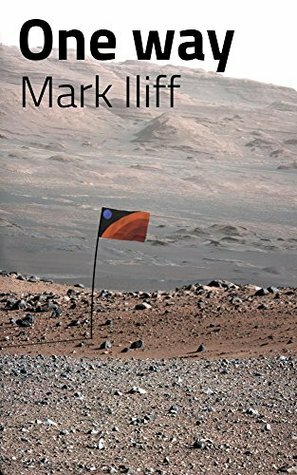 I've never had more than a casual interest in space exploration and have only dabbled lightly in science fiction but I found that t In the interests of full disclosure the author of this book is my dad and I was involved in reading the draft versions. That said, I only posted this review after reading the completed final version as is currently available. I endeavour to be honest in this review but I can't guarantee my filial pride won't colour it. In simple terms I thoroughly enjoyed this book. I've never had more than a casual interest in space exploration and have only dabbled lightly in science fiction but I found that the scenario seems plausible and is clearly explained making it easy to get in to the story even if you don't have much of a grounding in the area. Having got in to the story the technical element continues as a drip feed of interesting information which forms the backdrop to the real meat of the book which is the characters and their interrelationships. I found the characters relatable and felt that the writing allowed me to understand what drives a person to leave their lives behind and take a step in to the unknown. The way the characters' relationships develop manages to be surprising at times without ever tipping over in to the unbelievable. Although I had read all of this book in draft form at least once before, I still found myself emotionally invested and despite knowing the plot developments felt suspense and anxiety on behalf of the crew who felt like more than just characters in a book to me.